A workplace project in the landmark 101 Collins building, the existing condition was a vacant commercial tenancy. 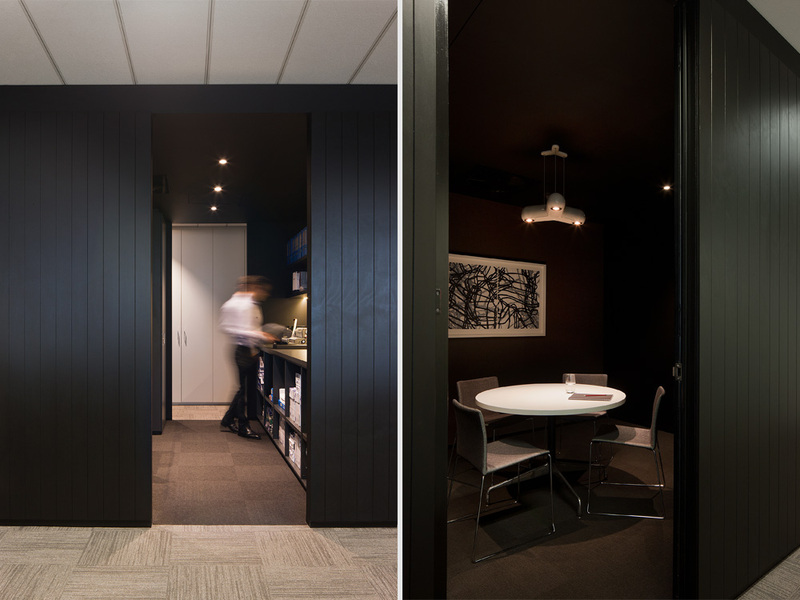 Molecule’s brief was to provide a new headquarters for a fund management business, providing client meeting rooms, open-plan trading floor, staff kitchen and support spaces. 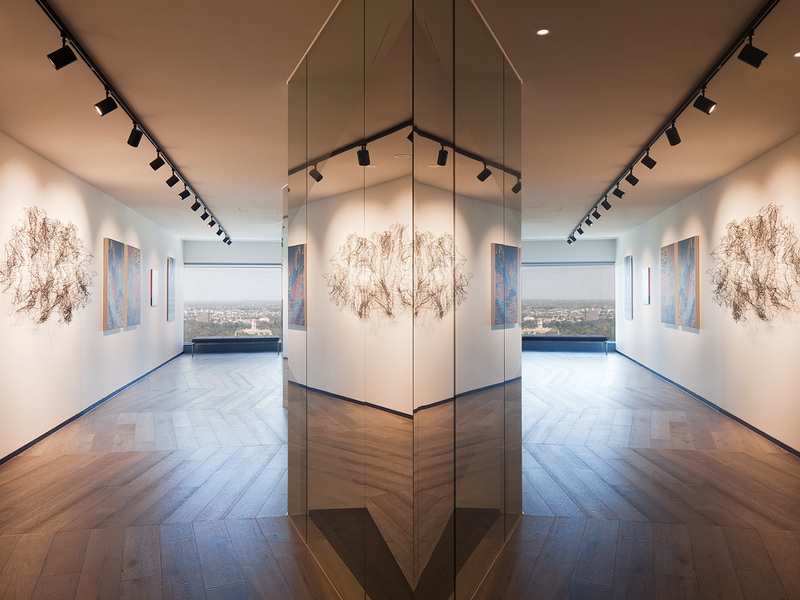 The design challenge was to activate the client zone and create a distinctive space that was synonymous with the firm’s brand ideals of innovation and intelligence; our design response was to insert a kinked glass wall to the public circulation zone, treated with reflective film to create a ‘hall of mirrors’ effect wherein the art collection, views of the Domain and natural light are bounced throughout the floor plate.